Material: The fabric is of Net,Silk with embroidery work. The dress is suitable to stitch from Bust size 28 to 42 inch. This is a semi-stitched dress & require stitching before you wear. Beautiful Indian Party wear Salwar Kameez Suit for women Girls. We only deal in 100% original products in line with the model picture shown. The fabric is of high quality & branded products.This require further stitching. Our designer can do stitching or you can do it locally. The stitching charges varies from 30- 40 U.S Dollar /dress.The dress is suitable to stitch from Bust size 28 to 42 inch. This is a semi-stitched dress & require stitching before you wear. If you need stitching from our designer contact us. The stitching charges will be additional. Why should you buy from us : 100% original branded collection in line with the picture shown Latest designs with high quality fabric & fast delivery Semi-stitched dress material to stitch in line with your measurement Strong team of fashion designers & Customer service executive to suggest based on requirements Why should you buy from us : 100% original branded collection in line with the picture shown Latest designs with high quality fabric & fast delivery Semi-stitched dress material to stitch in line with your measurement Strong team of fashion designers & Customer service executive to suggest based on requirements Feel free to contact us for any quires If you have a bulk requirements do contact us. 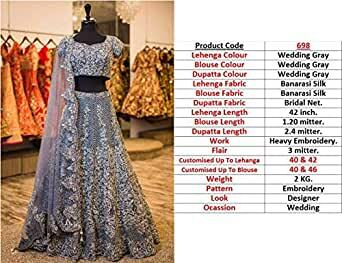 We are one of the largest exporter of women garments (Sari, Suit dress material, Lehenga Choli, Designer collections) to 100+ countries with a 70+ strong team of fashion designers.